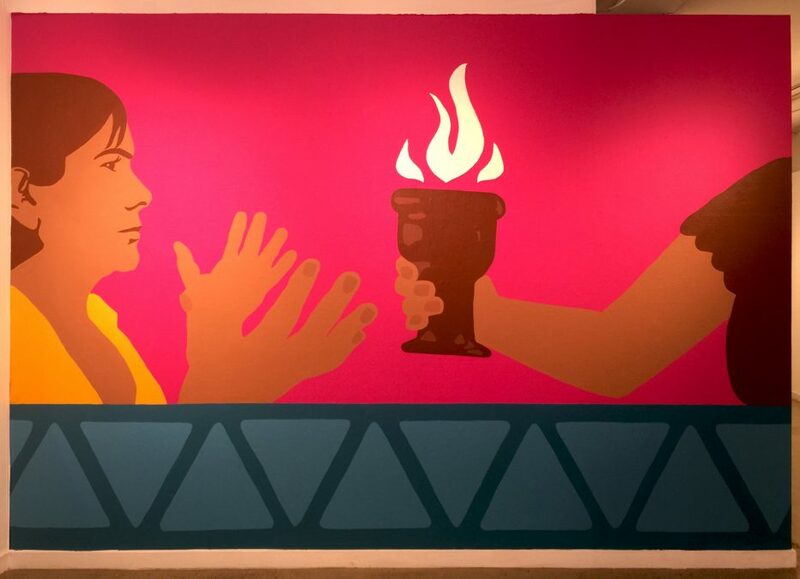 Melanie painted this mural at the Galeria de la Raza for the “F.T.P For the People” exhibit up through June 4, ’16. Visit the exhibit and see this painted larger than life on a wall. This piece is called “En Comunion Con Lo Sagrado,” it is a reflection on the ways we have maintained and keep ourselves well in a society that has imposed structural violence on our peoples for over 524 years. It is based in an understanding that we live on stolen indigeous land, in a society whose economy was built on the expoitation of stolen African people. And we have ways that have taken care of our sacred being and spirt that were handed down to us in the original instructions for how to be with each other and in this world.